Only 53 nationality are not required to obtain visa for short terms to Russia. The only exception is for travelers arriving by sea (on a cruise ship or passenger ferry), who can be in the country for up to 72 hours without a visa. However, there's a catch: You must book a tour through a local organization. You must have Passport six months is valid after visa expires and two blank pages available. To apply for the visa you must submit your original passport, which will remain in the hands of the Consulate or Russian Visa Center for a few days. This is because the visa will be attached to one of the pages of your passport. 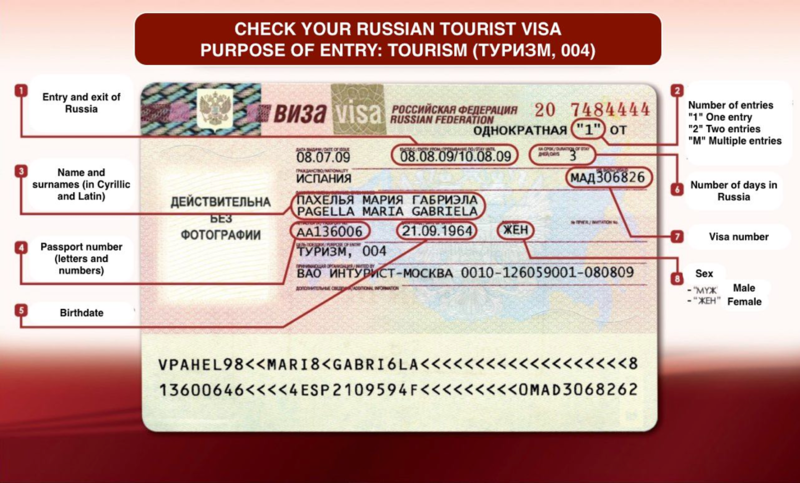 Visa must include entry and exit dates of visiting Russia. It means the first and last date that you will be in the country. By this reason you will need to know the dates of your trip before applying for visa. On the visa application form, you have to include the cities you are going to visit as well as whether you will be making one or two entries. 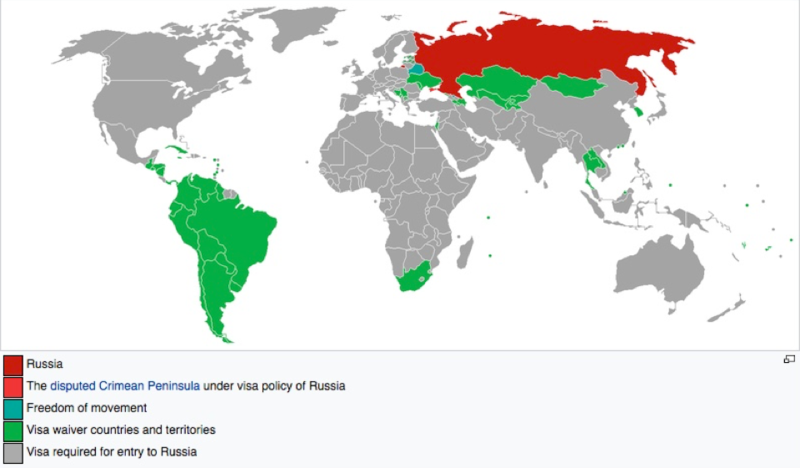 The most common type is single entry visa but you may also want to visit Moscow, then go to Georgia and return to Moscow (double entry). You may also want to visit Latvia, Ukraine, Kazakhstan or Finland. If so, you need to be very clear about where you will be going and what dates you will be entering or exiting the country. 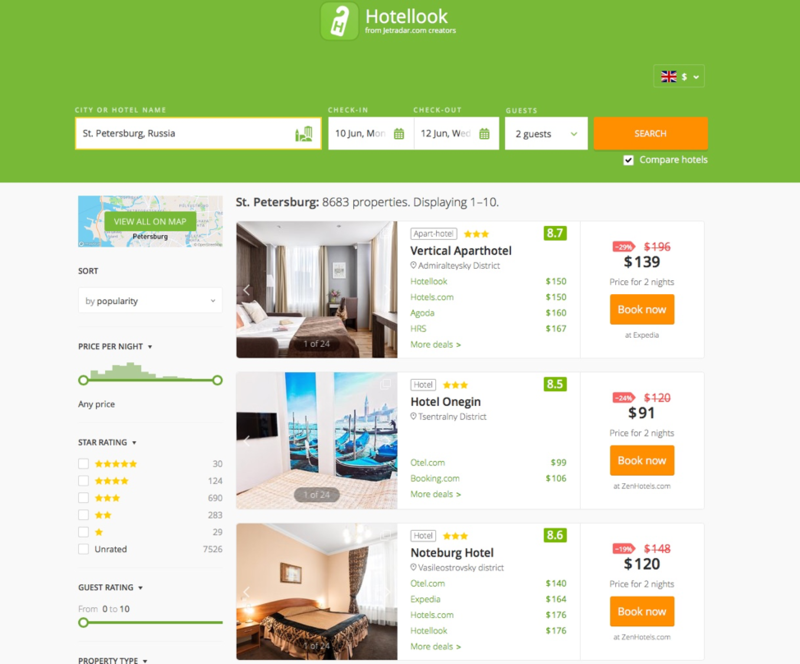 To book accommodation we recomend to use Hotellook.com allows you to find and compare worldwide hotel prices provided by leading reservation systems (Booking.com, Agooda.com, Hotels.com, Expedia and other). We recommend you use hotels with free cancellation. This way later, if you want, you can change hotels. ATTENTION !!! 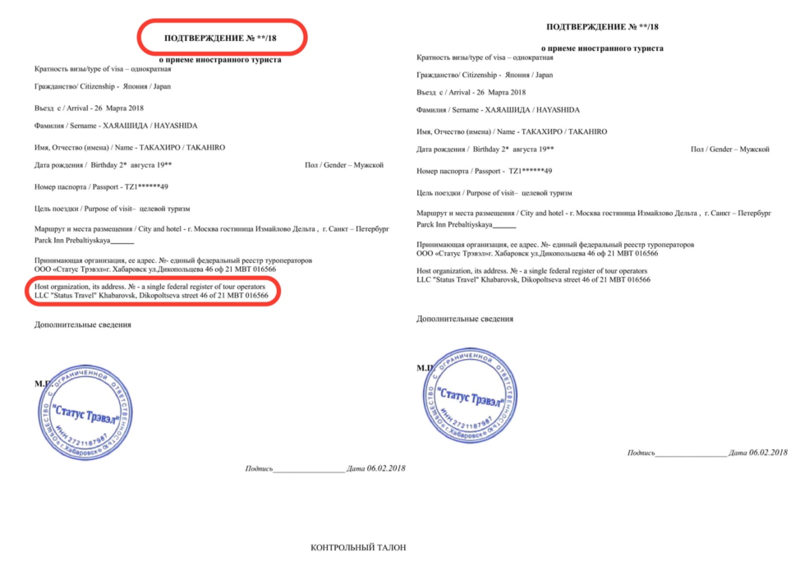 Hotel or any accomodation name in Invitation Letter must be same with were you make booking and stay in Russia. Immigration have right to contact and check you reservation with hotel or accomodation management. Step 4. Invitation Letter or Visa suport service. The letter of invitation (also known as the visa support letter or tourist confirmation document) is the most important document. The letter of invitation should not be confused for a hotel reservation. They are not the same. 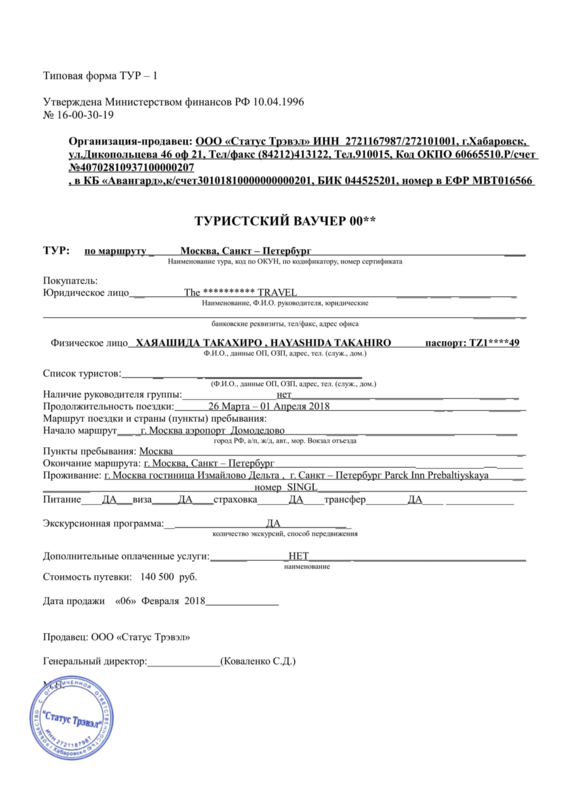 a) Please apply form for Invitation Letter for Russian Visa by link https://rusvisa.online/visa for you and other traveller. Price is one for all nationelety - 16 USD per each Single entry Invitation and 27 USD for double entry Invitation. b) Citizen of some Asia, African, South and Central American countries need to provide “Original Invitation Letter”. Our service is include automatic DHL delivery service with will calculate cost of delivery and you will get your document during 3-5 working day in any country in world. A good and cheap option that meets all these requirements is the Russian company Cherepaha.ru You can buy and download the Policy directly online. To get a quote it’s very simple, just access the produtc page, select dates a number of travellers – automatically the system will provide the total price for the Medical Insurance Policy. To purchase the insurance simply click on the “Buy Now” button – you will be automatically registered in the system. You can pay by credit card or Paypal. If you need the original insurance, they can send it to your home. Step 6. Apply Visa Aplication Form. Step 7. Visit Consulate or Visa Center. Step 8. Get visa and travel to Russia.